If you have any type of inflammatory arthritis, such as rheumatoid arthritis (RA), there’s a good chance that you’re taking methotrexate or have tried it at some point. This drug effectively slows the progression of arthritis, in part, by reducing inflammation in the joints. But for people without arthritis, could methotrexate also be used to ease inflammation in the blood vessels and, in turn, reduce the risk of major cardiovascular events like heart attacks and strokes? That’s what new research, presented at the American Heart Association’s Scientific Sessions last week, sought to determine. Unfortunately, the theory that methotrexate would protect against heart disease didn’t pan out. The study was also published in the New England Journal of Medicine. Earlier research (the CANTOS trial, which was published last year) had found that people who took canakinumab (Ilaris) — another drug that curtails inflammation — were less likely to have a cardiovascular event compared to those who got a placebo. The new study was designed to determine whether methotrexate — which is much less costly than canakinumab and has been on the market far longer — would work just as well. Both trials were led by Paul Ridker, MD, from the Center for Cardiovascular Disease Prevention at Brigham and Women’s Hospital in Boston. For the methotrexate study, Ridker and his colleagues enrolled 4,786 patients who had already had a heart attack or been diagnosed with major clogged arteries, as well as either type 2 diabetes or metabolic syndrome (a group of risk factors including high blood pressure, high blood sugar, high cholesterol, and too much abdominal fat). Participants were randomly assigned to get either methotrexate or a placebo. 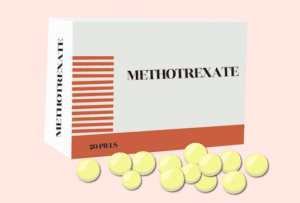 After an average follow-up of 2.3 years, the trial was stopped because the authors concluded that methotrexate had not reduced the chances of having a cardiovascular event. Levels of inflammatory markers, including C-reactive protein, did not improve, either. In patients without inflammatory arthritis, why does canakinumab seem to protect the heart (as the earlier CANTOS trial found) yet methotrexate does not? It’s an especially puzzling question considering that observational studies have shown people with RA or psoriatic arthritis who take methotrexate have a lower risk of cardiovascular events. One possibility: “The reported benefits in these observational studies may apply only to patients with existing systemic inflammatory conditions,” the authors wrote. It may also come down to key differences in the mechanism of action of each drug. “I do not think [this study] closes the book on anti-inflammatories, but it does say that we’re going to have to be more specific with our anti-inflammatory agents,” Hadley Wilson, MD, of Sanger Heart and Vascular Institute in Charlotte, North Carolina, told MedPage Today.